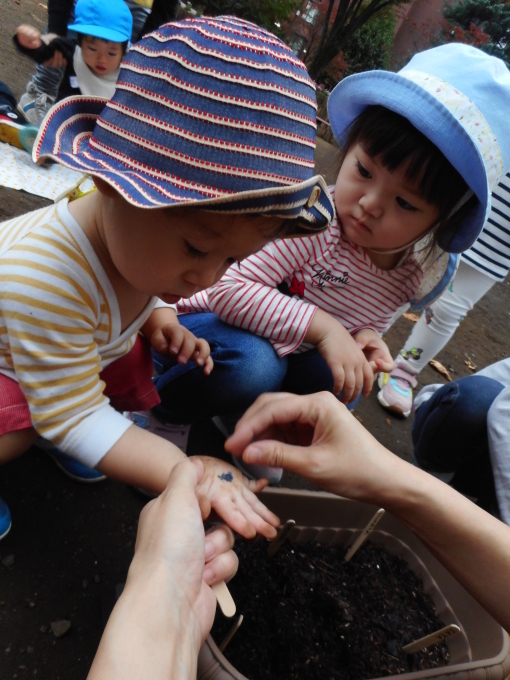 This morning, Caterpillar kids walked until Showa Kinen Park to play outside! 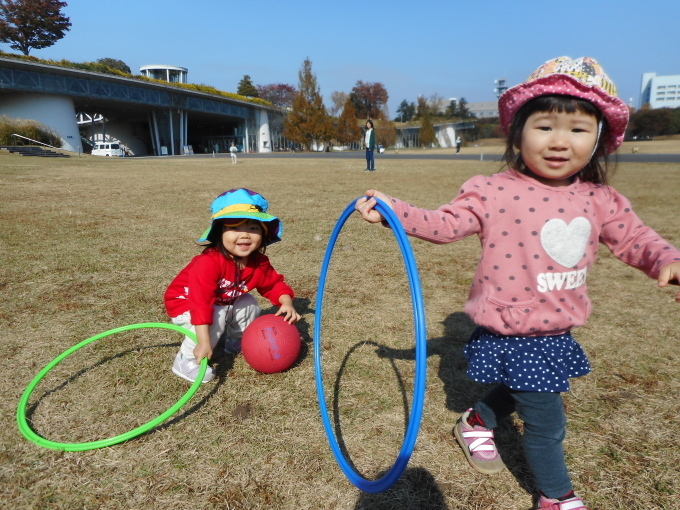 The weather was really nice and it gave the kids a lot of energy. They played with balls, hoops and also with rocks that they found on the ground. With these rocks, they pretended working in shops and selling ice creams, drinks and so on. They have such imagination! Meanwhile, Butterfly kids had their ABC lesson. 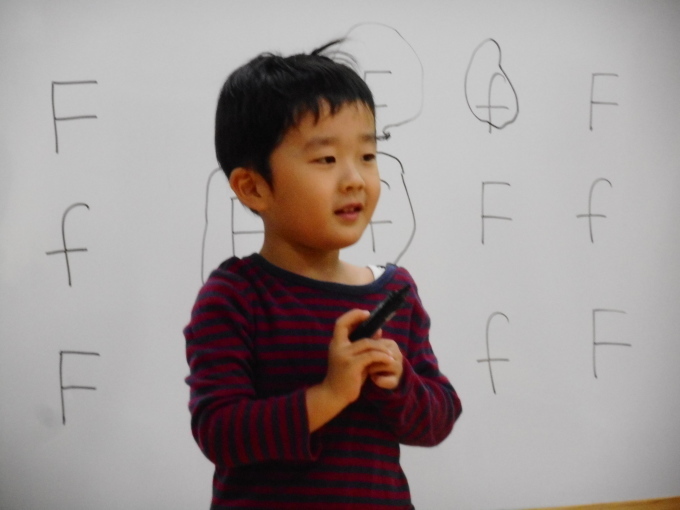 Today, they learnt the letter "F" and its sound. After listening to a song related to this letter, the kids saw the difference between the capital "F" and the miniscule "f" and did an exercise for practice. The teacher or the kids would say "big f" (F) or "small f" (f) and Butterfly kids had to circle the correct letter that were written on the whiteboard. Once the exercise done, the kids learnt how to write F and f on worksheets. Good job!